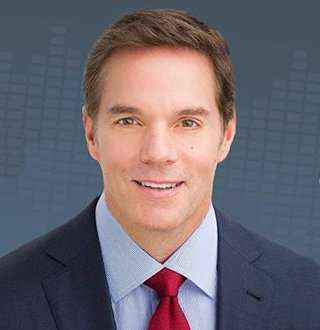 Home » Entertainment » Bill Hemmer's Sexuality Revelation! Rumored Gay Man Dating Or Married? American journalist Bill Hemmer is no new name to the journalism world. The handsome looking journalist is known to the world for his straight-forward opinions and gay rumors. But is he really gay? Find out below. The Ohio native has established himself as the talented anchor not only for Fox News viewers but to the whole world. The award-winning journalist holds the long-time experience in the news media with his association with Fox News Channel. Bill also worked as a reporter and anchor for CNN for a decade starting from 1995 to 2005. And for his personal front, his life as an anchor has served him with a life full of rumors and dating history. Bill, born on 14 November 1964, was raised in Ohio, the United States by a father, William R. Hemmer, and a mother, Georganne M. Knittle as a second child among five siblings. He pursued his high school education at Elder High School in Cincinnati and got graduated with the Bachelor of Arts degree in Broadcast Journalism from Miami University. Bill showed his interest in journalism from his early college days as he credits playing 'fifteen minutes of music' before classes in his college days for the beginning of his passion in the field of broadcasting. Bill also interned as a radio disc jockey for Mama Jazz while he was a college student. Bill started working for WLWT-TV in the mid-1980s where he was offered the post of sports producer. However, Hemmer soon went to work for the CBS associated network WCPO-TV as the weekend sports anchor. When Bill was 26, he took a year-long vacation to backpack around the world traveling to China, Vietnam, Nepal, India and Eastern Europe. During this, he spent two weeks working in children's' clinic run by Mother Teresa, in Calcutta. Preparing tapes and photos of what he experienced, he later assembled all the pieces to form "Bill's Excellent Adventure". Bill joined CNN in 1995 and worked for ten years hosting the news program in the network. He won an Emmy Award in CNN for the coverage of the 1996 Centennial Olympic Park bombing in Atlanta. In 2005, he joined Fox News as a reporter and appeared in various live coverage in the field. He holds an experience of more than 12 years of working in the channel. Currently, he is the host of America's Newsroom, that broadcasts early at 9-11 am. As celebrities' life does not run far from rumors, Bill was no exception to it! The anchor was time and again involved in gay rumors, where one occurred when Bill was revealed shirtless. In fact, the picture stood fake as his picture was head-swapped to the original shirtless picture of Tiger Woods. The fake shirtless picture bothered Bill much as he even took the matter to the Law Enforcement Officials. But Bill has own way of answering the rumors. He was in a serious relationship with 49 years old Canadian model, Dara Tomanovich for a long time. She was the new lead model for the fashion house, Chloe in Paris. And while Bill was in a relationship with Dara, there came another strong evidence that falsified Bill's gay rumors. One of his fans wrote an open letter to him thanking the God for his revelation of being straight and later posted to queerty.com. The couple started dating in 2005 and were publicly spotted cozying up together attending Victoria's Secret Fashion Show held in the New York City that year. They were seen together in several events during their relationship. In 2013, they were pictured together at the 2013 Gala event held at City Centre in Berlin. However, their relationship did not perpetuate more than eight years and got separated in 2013. Since his unsuccessful relationship, Bill has been rumors free of any romantic link-ups. Moreover, Bill is currently unmarried as he seems to have not found a partner possessing the quality equivalent to wife. Who Is Raymond Joseph Teller Married To? A Furtive Wife & Family Behind Work Or Gay?